Review Settings app and summarize steps for editing auto-responders, text and email signatures, and company email address. 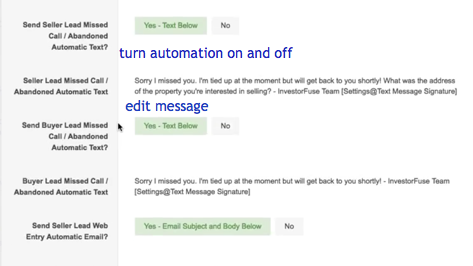 Auto-responder automation: When a seller lead or buyer lead is added to the system by missed call an autoresponder text message goes out. 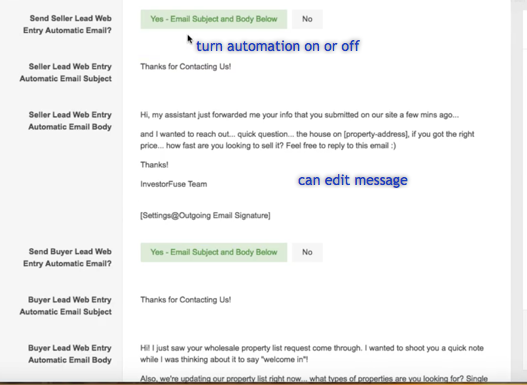 If it is by web form then an autoresponder email message deploys. Review text and email signatures and edit if needed. 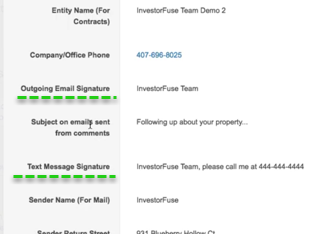 For text signature make sure to add an additional next action prompt for the lead, for example “Call 555-555-1212” Make sure this is a number that is an office line or any number you can track. Pro-tip: Use one universal text signature, email signature and email address used in settings. This allows for all team members, follow up sequences and outgoing offers to communicate with leads coming from one universal contact. 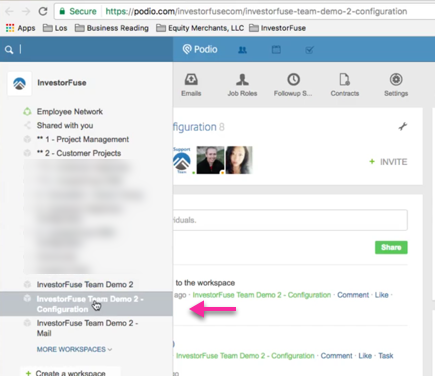 Members with multiple workspaces can create unique settings profile for each workspace. Review text and email auto-responder messaging and edit if desired to suit preference. We recommend adding your website url to the body of the autoresponder email to aid branding. 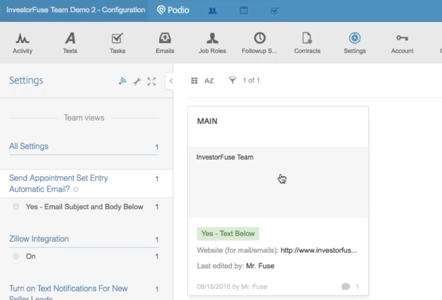 Oftentimes a lead will fill out multiple web forms from different investor sites.